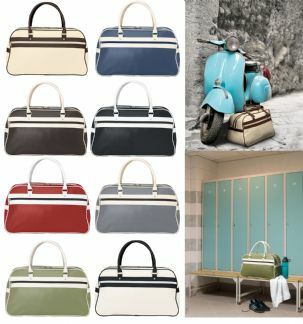 An ideal sports bag for use at the gym, swimming, football, rugby and also great for travelling. 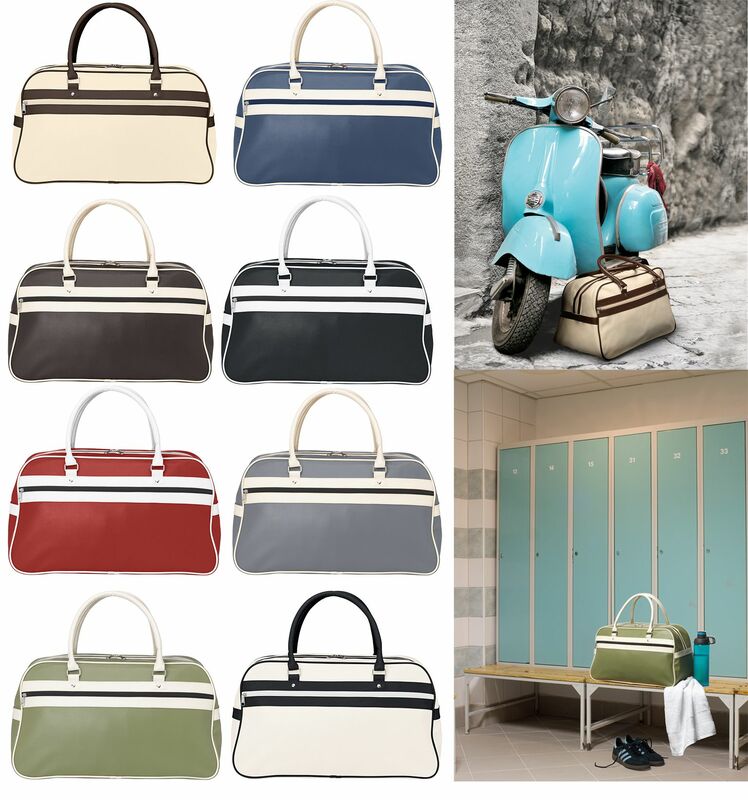 This retro styled holdall has two carry handles ; made from good quality PVC giving it a chic leather look . There is one main compartment which closes with a zip closure, there is also a little zipped pocket inside to store valuables. The bag also has a big front pocket as wide as the bag for extra storage.